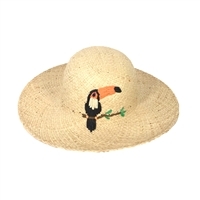 Trending fun-in-the-sun fashion accessories in The Blue Island Resort Collection. 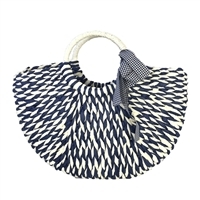 Make a chic statement while strolling the market, at park picnic or headed to the the beach with the Daize Market tote a open weave design perfect for shaking out sand.Curated for the Blue Island Resort Collection. 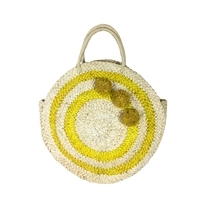 Make a chic statement while strolling the market, brunching with the girls or a park picnic with the Oaiyu Market tote a two tone woven design with chic round handles. Curated for the Blue Island Resort Collection. 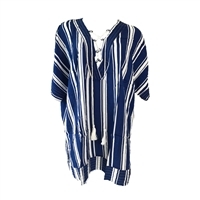 Beach Tunic featured with a tie front V-neck and striped motif. This nautically inspired swim cover-up is the perfect accessory for your trip to the pool or beach. Piku is a big wow in a little package! 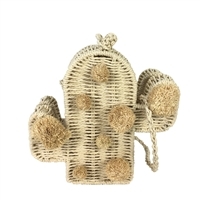 This mini bag featured in a cactus shape with pom pom appliques pairs with everything denim shorts and a tank to a maxi dress for summer get togethers. A pint sized version of the of the moment Arc clutch - it's crafted in a resin in a tortoise pattern for a interesting textured look. 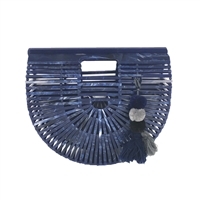 This bag adds the wow factor to every outfit! 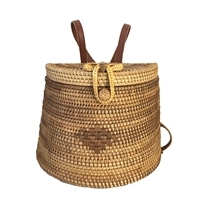 Get your vacation-ready look with the Kau straw tote designed with an on trend circular silhouette and finished with a color tassel bag charm. 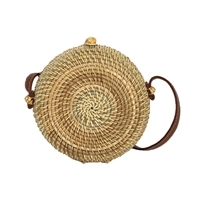 Go for a effortlessly chic look with the Buru hand woven straw crossbody bag. 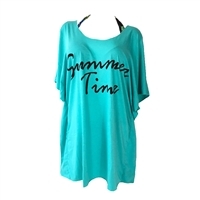 A perfect match for your sunny day look. 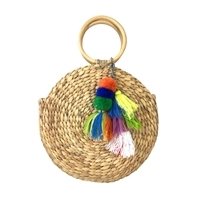 Fits your phone, cards, lipstick and keys - all you need! 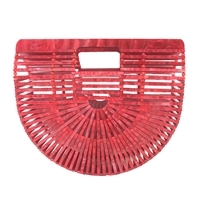 A chic update to the of the moment Arc clutch - it's crafted in brightly hued resin for a interesting textured look. 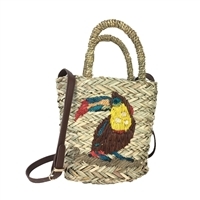 This bag adds the wow factor to every outfit! Everything is better in pink! 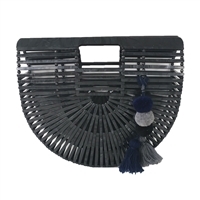 Carry warm-weather chic vibes while strolling the market or heading beach bound with this bamboo clutch featured in a pretty pink hue with a removable tassel charm. 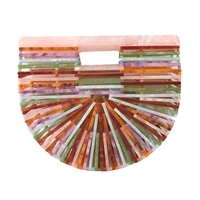 Color pop - A chic update to the of the moment Arc clutch is crafted in a multi colored resin. 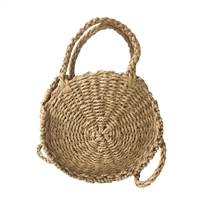 This bag pairs perfectly with a white summer dress or shorts and a tee. 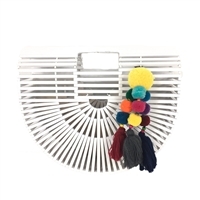 Carry warm-weather chic vibes while strolling the market or heading beach bound with this bamboo clutch featuring a fun pom pom charm. 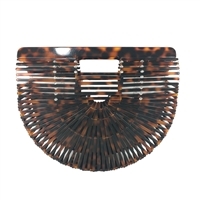 A chic update to the of the moment Arc clutch - it's crafted in resin in a tortoise shell pattern for a interesting textured look. 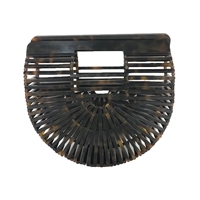 This bag adds the wow factor to every outfit! 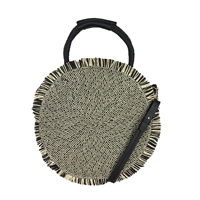 A chic update to the of the moment Arc clutch - its crafted in a marbled resin for a interesting textured look and features a removable pom pom charm. The beach is calling and this t-shirt beach cover up featuring cold shoulders and fringe trim is perfect. A charming sheer dress with flowing lines and a fun polka dot print, this cover-up pairs easily with any swimsuit. Get an effortless look in this billowy halter maxi cover up that features bright stripes, tassel trim and an open front that shows off just the right amount of skin. Summer Time is calling and this flirty t-shirt beach cover up featuring cold shoulders and flutter sides is perfect for the beach & poolside. 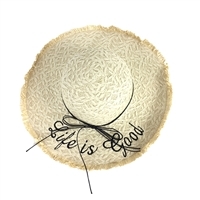 Woven straw in a minimalist circle design is updated with pretty striped hues and pom pom accents. 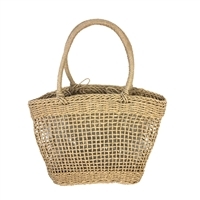 It is the spring and summer go to bag. 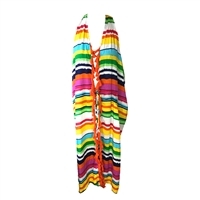 This fun swim cover-up is the perfect accessory for your trip to the pool or beach.